Who says you can’t have fun for under a fiver? The way the UK economy is going, you’re going to have to. So here is a round up of skincare, make up and accessories that punch higher than their price in value. 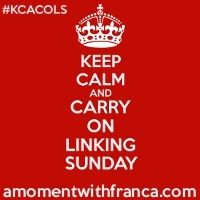 Where I’ve got a longer review of anything, I’ve linked to it. And I’d love to know what you’d add to the list, so please leave a comment at the end. This is a budget beauty accessory brand offering everything from foot files to toe separators, starting at under £3. 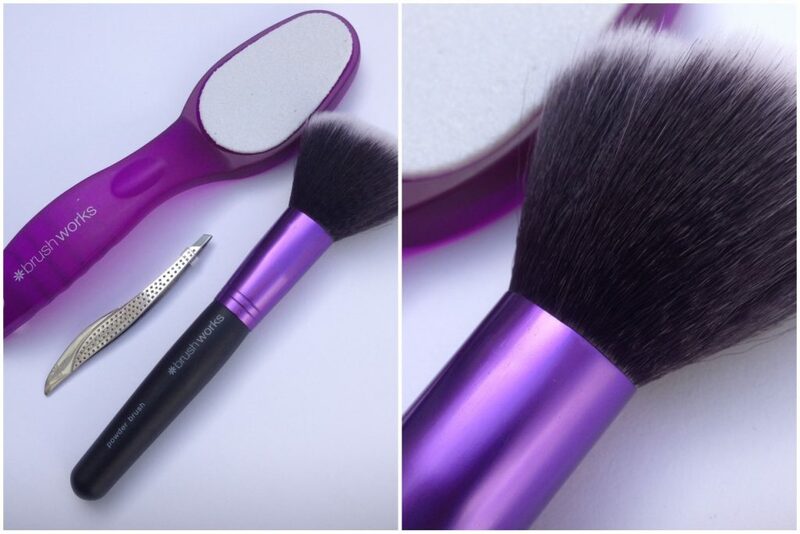 The brushes are wonderfully soft, and the royal purple styling makes the products seem more luxurious than the price would suggest. The offers come and go with this range, so you might have to sweat it out a little to wait for the best value. And while you’re in Superdrug, don’t forget that £3 Liz Earle Hot Cloth Cleanser dupe – more on that here. When you absolutely, positively have to smell like a Nana. Super affordable retro skincare. Full review here. You might know these 99p masks under the name Montagne Jeunesse. They’ve been around in high street stores for decades and recently rebranded as 7th Heaven. 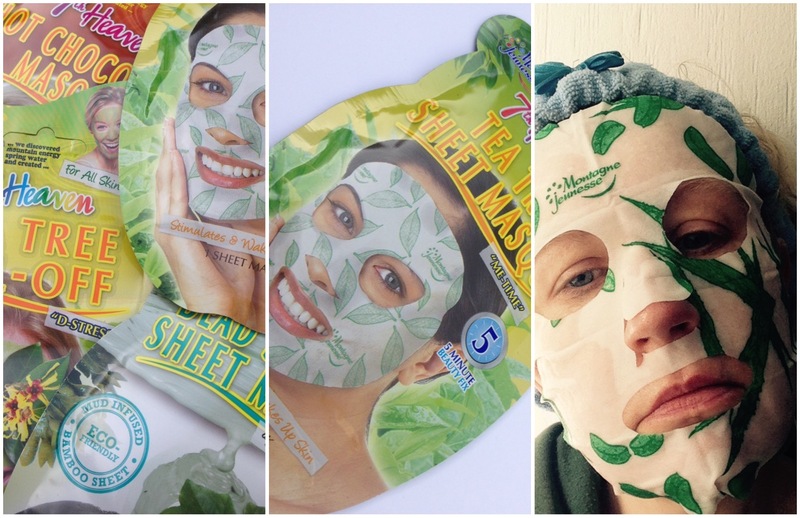 This is a really easy way in to the latest trends in sheet masking and multi-masking (where you use different types of mask on different areas of your face). Sheet Masks sold in the UK are often insanely overpriced, but the 7th Heaven variety are a much more pocket-friendly £1.29. However, as sheet masks go it’s HUGE. Which makes you wonder how big a face the model on the packet had. This moisturising gradual tanner is just a shade over the £5 mark, but it smells of chocolate biscuits so for that it is forgiven. Free, as long as you pay your water rates. Rehydrates, softens the skin and keeps your innards in tip top working order. Good old water. Find out how I got on drinking two litres of water a day for a year here. These are just great. It’s a sparkly eyeliner where the sparkle stays put and doesn’t randomly wander all over your face. Plus they come in about a dozen cool colours and are as cheap as chips. 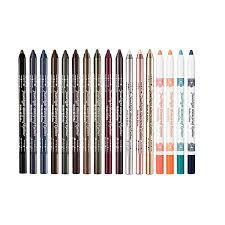 Allegedly this is a dupe for Urban Decay 24/7 Glide On Eye Pencil, but a fifth of the price. Don’t be put off by the snail – it’s not crushed up snail we’re talking about here. It’s a derivative from the slime off a snail’s bottom. See, that’s much better isn’t it? This is a light moisturiser that’s particularly good at repairing the skin (like a snail repairs its shell). I use it on cuts and cat scratches. If you’ve seen my cat you’ll know why this is essential. I told you about these here. Gets rid of your wrinkles for a quid. Only temporarily, but what did you expect for a quid? Supposedly a dupe for Urban Decay Primer Potion, you can read a full review of this product here. I use this, I think it’s great. 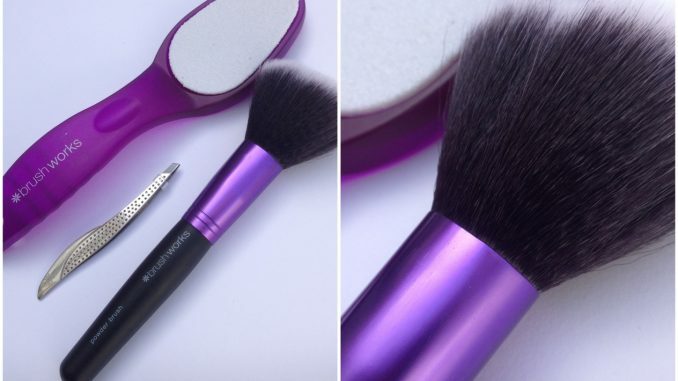 Totally stops your eyeliner from transfering up to your brow bone.